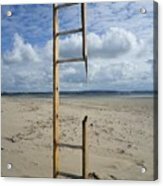 Stairway To Heaven is a photograph by Richard Brookes which was uploaded on July 25th, 2016. Took advantage of some flotsam and jetsam to create an ephemeral artwork on the beach near Crow point, Braunton Burrows and Saunton Sands in North Devon, UK. The Taw & Torridge estuaries can be seen in the background. Taken in July. Indeed Constance! Perhaps some allegorical imagination...a difficult journey? Nice photo. Looks like a hard way to heaven. Haha, yes it does. Thank you Jonas! Very clever! 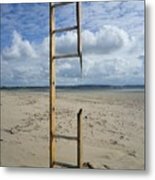 The "corporate ladder?" Well done, sir! Thank you Carol Lynn, I really appreciate your kind comment! Congratulations on the recent feature! I love this image! Many thanks Lee, so pleased you like it! Many thanks, that's really appreciated! I'm so pleased you do Dottie! Thank you. One of my fun moments! 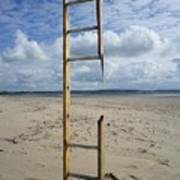 Surreal fantasy, you can imagine you can climb, love the metaphor! Thank you Rachel, much appreciated. Glad it fires your imagination! Thank you Lena! So pleased you like it & great to connect! Thank you for your kind comment Karen. 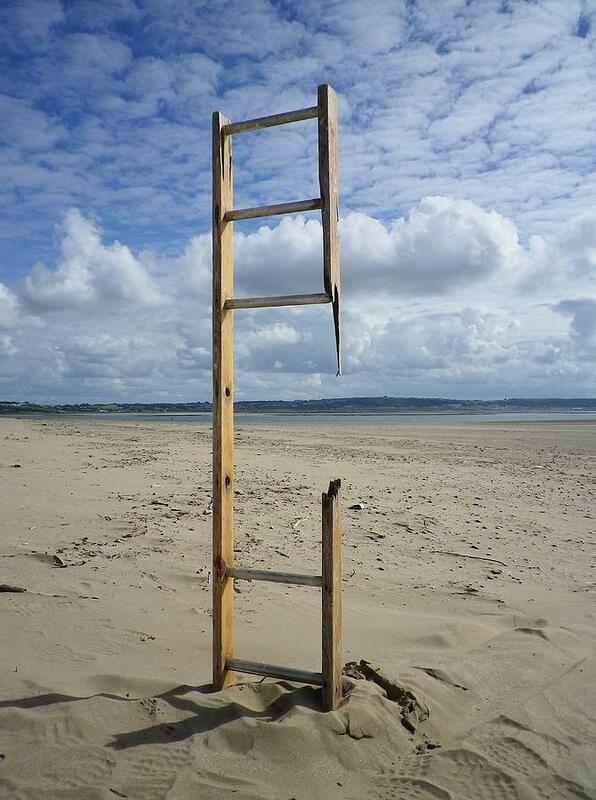 It all came together quickly due to the chance find of the old ladder, the vast beach and great light. I just couldn't resist trying it! Thank you so much Marnie! Fantastic image and composition, Richard! Congrats! Many thanks William, pleased you like it! Congrats on your 200 Club and other well-deserved features. Keep climbing! Thank you Barbie - I'll try my best! Many thanks for your support Kristina. Much appreciated! You have been Featured in �Everything In Moderation, Including Moderation� for your work of excellence in your medium! BRAVO TO YOU!!! Congrats to you Richard! Cool! It's a tough climb! Thank you Barbie - it certainly is! Beautiful and unique shot, nicely captured! I really appreciate your support Robyn! Thank you for your support Beth!